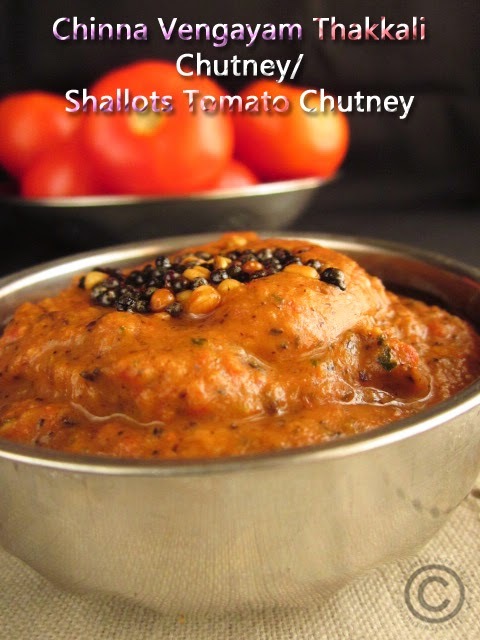 Hi friends, chutneys are very popular in our Indian cuisine. Chutneys are must for idli/dosa or rotis too. 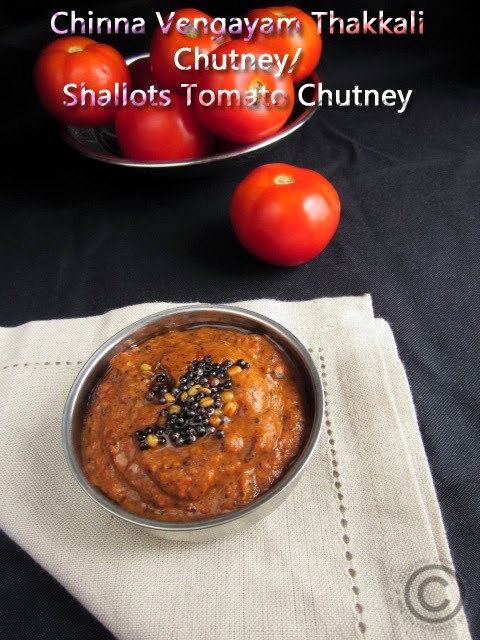 Tomato chutney is one of the most popular after coconut chutney. 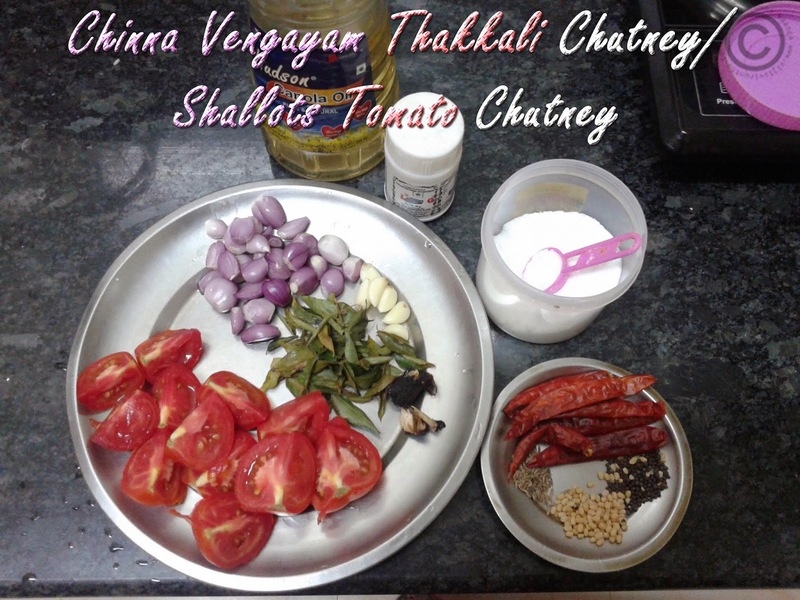 Very simple and easy to make the tomato chutney with shallots/madras onion/sambhar onion and will love it with your idli/dosa. 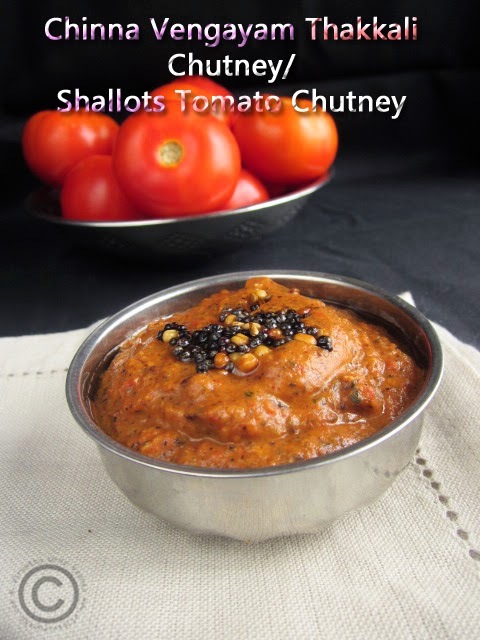 Shallots will give unique taste and flavor to the chutney and shallots are healthier than onions. 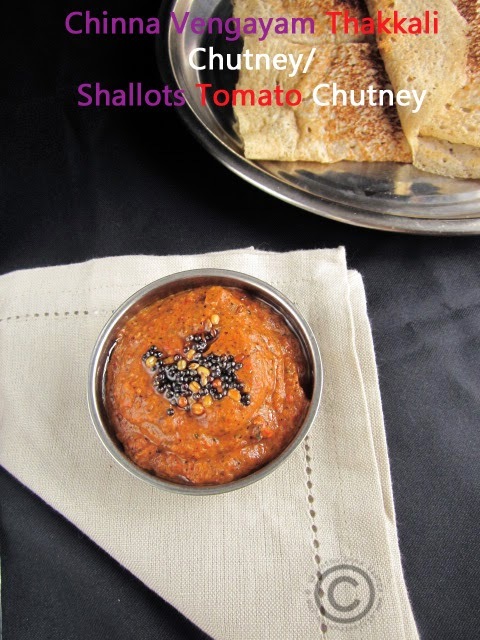 I have already shared tomato thokku, raw tomato chutney and Shallots Chutney. Heat oil in pan; add cumin seeds and urad dal wait for sputter. Add dry red chillies and then add shallots and garlic sauté it tills translucent. Add hing and tomatoes and continue sauté. 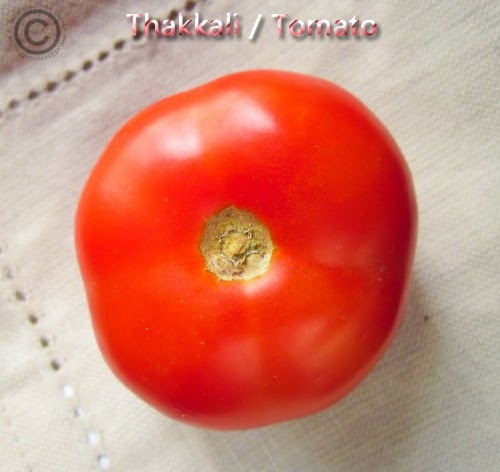 Add dry curry leaves and salt sauté it till the tomatoes mushy. Cool it completely and grind it into smooth without add water. Transfer into a bowl and add tempering. You can replace dry curry leaves with fresh curry leaves. If you wish add onions instead of shallots. wow such an delicious and finger licking chutney :) looks yummm !! love your clicks dear !! 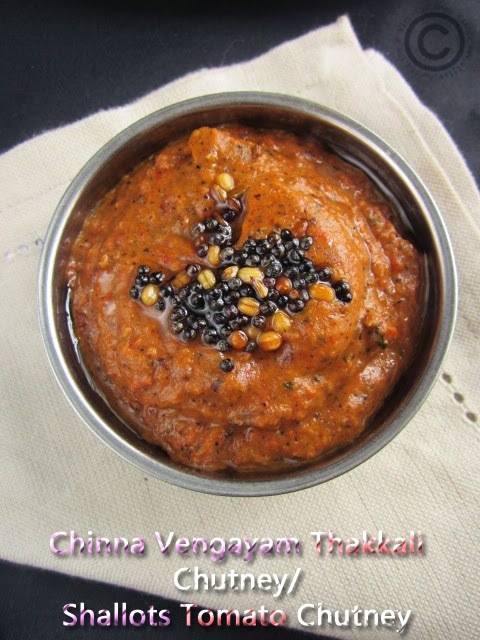 Nice and delicious chutney.. 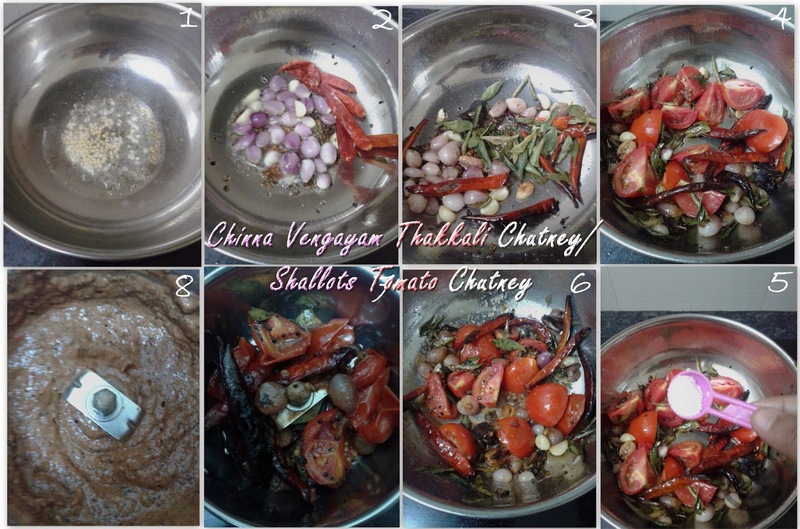 I make this too but I also add little tamarind..